OUR PRICE: $27.90 - Join Rewards Get $2 Dance Dollars On This Item! 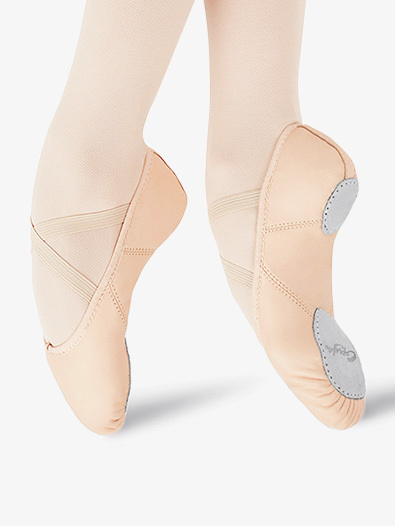 Capezio's "Juliet" leather split sole ballet slipper has a sheep skin leather upper and a moisture-absorbent brushed cotton lining. Other features include contoured suede sole patches, a tacked elastic drawstring, and a seamless, sculpted arch. Comes with pre-sewn crisscross elastics.